Want to study aircraft systems on the B737NG series aircraft in the palm of your hand while commuting or deadheading? Need to refresh your systems knowledge for re-current ground school or an exam? Want to create your own flash cards and not cary a pilot of paper with you? iPilot B737NG Study Guide is designed to help you study the B737NG systems in the palm of your hand. The easy use of flash cards and images will help you better retain operational systems information of the B737NG. This application will not teach you how to fly the airplane, it is simply an application to complement the training program you may already be in. 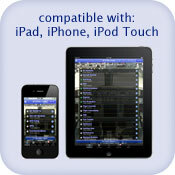 Application works on all iOS devices including iPad, iPhone and iPod touch.